Konami is teasing a new game where pressing up, up, down, down, left, right, left, and right might help. At the very end of Konami's pre-E3 2011 press show, the screen went blank as if it was over, but then came back with a vengeance. A fiery vengeance, in fact, that may have revealed a new Contra game is in the works. It's of a "C" made out of fire. Below the letter are the words "They're Coming." Unfortunately, a fiery "C" doesn't give us much clue as to what Konami is working on within the Contra franchise. It could be a remake of the original Contra, with two bad dudes jumping across exploding bridges, ducking under strategically-placed bullets, and fighting over the spread shot, or a completely new game with new characters. Konami and Arc System Works recently put together a game that was spiritually Contra called Hard Corps: Uprising. Whatever Konami is teasing will likely be Contra in both spirit and name. 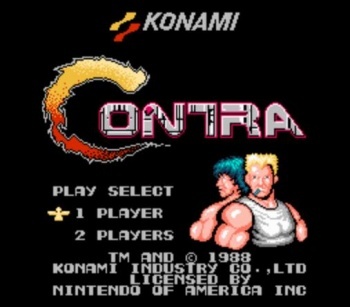 Bet on Konami showing off this new Contra project at E3 2011, which runs from June 7-9.